It was on October 4, 2008, Kimbo Slice was scheduled to fight UFC Hall Of Famer Ken Shamrock for a gigantic MMA pay-per-view event. 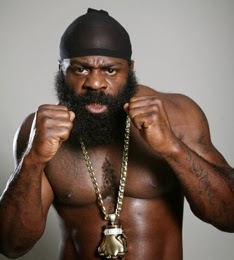 Kimbo Slice was the next big thing. Kimbo Slice was the biggest draw ever seen in the Mixed Martial Arts sport. His Elite XC: "Primetime" main event (May 31, 2008) match versus James Thompson drew 6.7 million viewers on CBS. 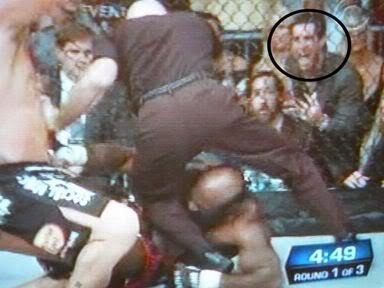 Why Ken Shamrock was the perfect designated victim for Kimbo Slice? 1 - Name recognition: Ken Shamrock is a UFC Hall Of Famer. Him and Royce Gracie were the first ever inductees. 2 - Way past his prime: At the time, Ken Shamrock was 44 years old, a loser of last 5 matches and only won 2 of his last 10 fights. 3 - He needed the money: His $1,000,000 a year WWF/WWE contract (1997-1999) money is long gone. With his (scripted) pro wrestling experience, his losing streak, and his desperate need for money. He wouldn't had any problem taking a dive for extra money. a wrestler doing a blade job. 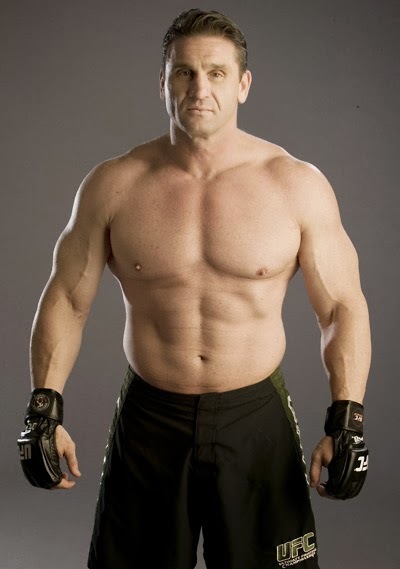 However, the faded MMA legend Ken Shamrock had to withdraw at the last minute. 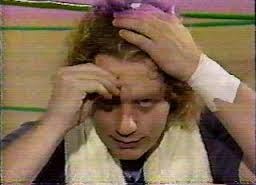 Reality: Shamrock used a notorious pro wrestling technique. BLADING. Ken Shamrock softened his eyebrow skin with a razor blade before the match. Doing so, Shamrock would have bleeded profusely from the early punches. Thus forcing the referee to stop the match. Giving another "hard-earned" victory to Kimbo Slice, an easy much-needed paycheck for Shamrock, and an overhyped paper champ for the EliteXC promoters. And everybody would be happy. But, Ken Shamrock missed his pre-match 'blade job'. So the main event was in jeopardy. 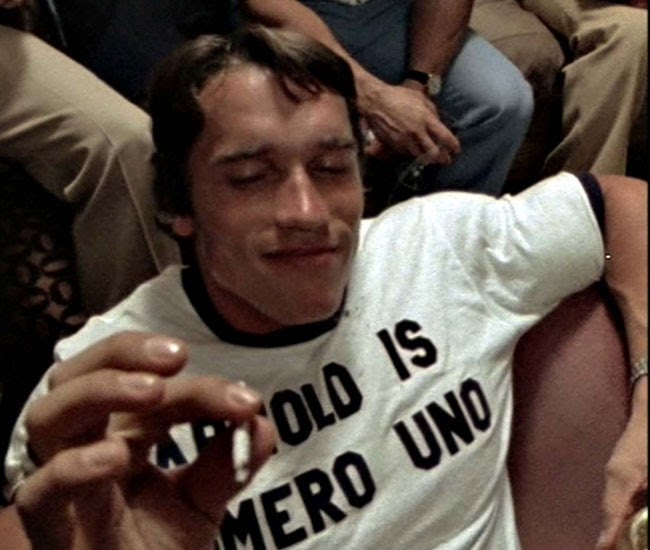 They got to find a last minute replacement opponent for king Kimbo. An easy one, if possible. Seth Petruzelli was the sacrificial lamb. An unknown 6'0", 205 lbs, light heavyweight with a 9-4 MMA record and sporting a pink mohawk. 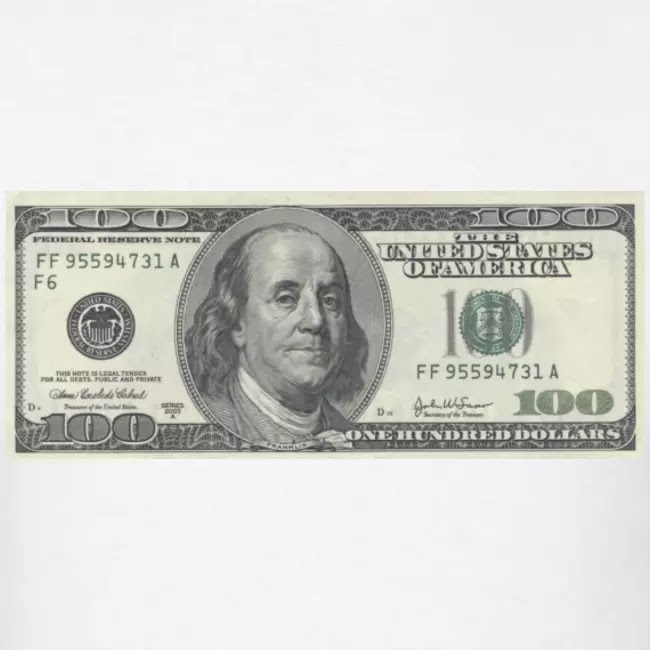 The promoters carefully instructed the 28 years old man to, as Petruzelli himself said: "The promoters kinda hinted to me and they gave me the money to stand and throw with him, they didn't want me to take him down. Let's just put it that way. It was worth my while to try and stand up punch him." Unfortunately for Kimbo Slice and EliteXC promotion. Things goes wrong! Seth Petruzelli stayed on his feet as instructed. Was he expected to win? No. But he did! The ankward Kimbo Slice was squashed in 14 SECONDS by the replacement guy!!! Look at the EliteXC boss freakin' out when he see his investment sink. Oups! 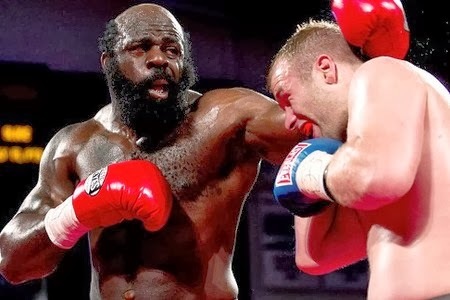 Kimbo Slice aura of mysticism, street fighting credentials, and MMA main eventer status were all flushed down the toilet in just 14 SECONDS!!! Kimbo bullrushed his designated victim... missed a step and fell on the fists of his opponent. Kimbo Slice: Biggest MMA draw ever? Kimbo Slice single handedly drew an estimated 4,560,000 viewers on CBS. EliteXC had to pay Kimbo $500,000 for his own dismay. EliteXC had no other choice than to file bankrupty the next day. And the MMA world lost his all-time biggest draw. Post-match, Dana White and the UFC hired Kimbo, humiliated him by making him a lowly 'Ultimate Fighter' TV show rookie, and destroyed what was left of his MMA phenom "credibility". Kimbo Slice squashing a tomato can. His MMA career completely trashed, Kimbo had no other choice than to return to his first love, boxing. But this time, pro gloved boxing. Starting his boxing career at the late age of 37 years old. 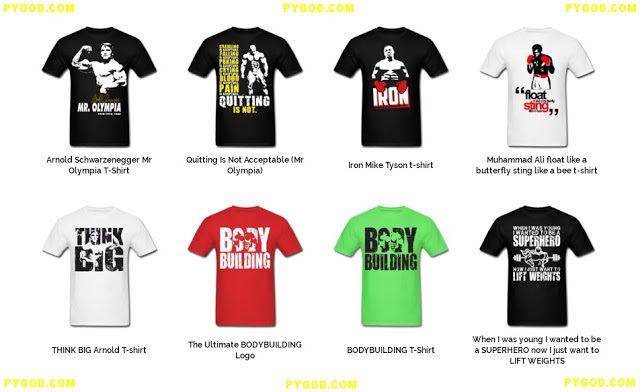 It is unlikely to see Kimbo making any sort of impact in the sport. In pro boxing, he is just a non-talented freakshow barely good enough to squash novice tomato cans. Sad, I was a huge fan of Kimbo Slice. Just as much as I was a Butterbean, Tank Abbott, and Bob Sapp fan. But my so-called 'freakshow' heros have all fallen in disgrace. Butterbean and Tank Abbott became aged and way too much overweight. And Bob Sapp had a fallout with his promoters/creators. What would happens if Ken Shamrock haven't missed his pre-match blade job? Even with the most careful matchmaking. Kimbo Slice's flaws would have been exposed soon or later, one way or the other. Example: Bob Sapp, Bobby Lashley, and Mariusz Pudzianovski.